Wanting to learn more about alcohol detox? Alcoholism is a disease. When someone is so dependent on alcohol that they need it on a daily basis in order to properly function, it is likely that they experience extreme withdrawal systems if they try to stop drinking. Long-term alcohol drinking can make it so that someone needs to drink in order to feel normal. Their body has become so dependent on alcohol that in order for them to stop drinking, they will need to go through a detoxification process. According to the National Institute on Alcoholism and Alcohol Abuse, more than 15 million adults in the United States are struggling with some type of alcohol use disorder. The following is a list of some of the more frequently asked questions people have about alcohol detoxing. FAQ #1 – what are some alcohol withdrawal symptoms? Alcohol withdrawal symptoms can range from being very uncomfortable to potentially deadly and often include tremors, sweating, insomnia, hallucinations, feeling agitated, feeling nervous, feeling nauseous, rapid heartbeat and elevated blood pressure. FAQ #2 – is detoxing from alcohol at home safe? No, it is not. Anyone who is detoxing from alcohol should be under a medical professional's care around the clock. FAQ #3 – after detoxing, is any more treatment needed? Yes. Once someone detoxes from alcohol, it is important for them to seek professional counseling services in order to address the reasons behind their alcohol addiction. FAQ #4 – is detoxing from alcohol harder for people who have been drinking for many years? Yes. The longer someone has been addicted to alcohol, the more difficult it is going to be when it comes to their withdrawal symptoms. FAQ #5 – how long does it take for someone to detox from alcohol? Everyone is different, which means that detoxing from alcohol can take a few days or an entire week. FAQ #6 – do detoxing patients receive medication? The majority of people who go in for alcohol detox will be provided some type of medication, as this can help minimize withdrawal symptoms. FAQ #7 – how does someone know that they are in need of an alcohol detox? When someone drinks on a daily basis and wants to stop drinking yet cannot seem to do it on their own, then it is likely they are in need of professional alcohol detoxing assistance. Have any questions about alcohol detox that we can answer for you? If you do, please do not hesitate to contact us as soon as you can with your questions. Our caring team of professionals is more than willing to answer any questions you have about detoxing from alcohol, as we want to be sure that any information you need is correct information. If you are ready to make an appointment to start the alcohol detoxing process, then we invite you to call us right now so you can get started on your road to recovery. Know that we are here for you if you need us. 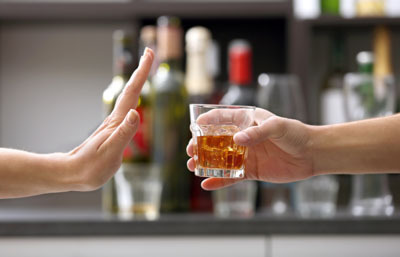 Looking for alcohol detox services near the 10022 area? Call Joel Nathan, MD at (212) 410-6832. Copyright © 2019 All Rights Reserved Joel Nathan, MD.